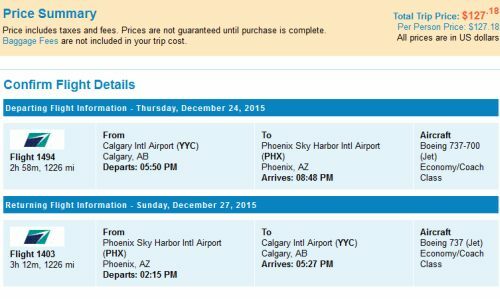 WestJet is selling off some last minute Christmas flights from Calgary to Phoenix or Vancouver for $178 to $205 CAD roundtrip including taxes. On Priceline, the price will show up as $127 USD. 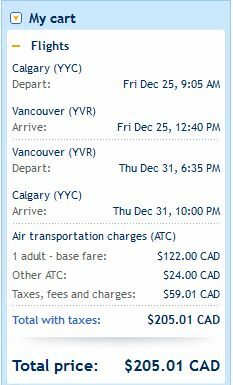 When booked with a Canadian credit card, it will work out to $178 CAD. calgary, yyc, united states, flight deals, british columbia, westjet, california, phoenix, arizona, canada, vancouver, phx, yvr, bc, palm springs, psp and north america.